We air daily Tuesday through Thursday at 1PM Pacific Standard Time , 3PM Central Standard Time & 4PM Eastern Standard Time. The call in # (858) 683-1334 is for all Segments. Please email us at:newdestinyministries54@gmail.com or mail any Prayer Request or Praise Reports you would like us to share on the broadcast to: New Destiny Ministries, P O Box 750122, New Orleans, LA 70175. Also, we invite you to Like our New Destiny Ministries Page on Facebook and Twitter @newdestiny54. 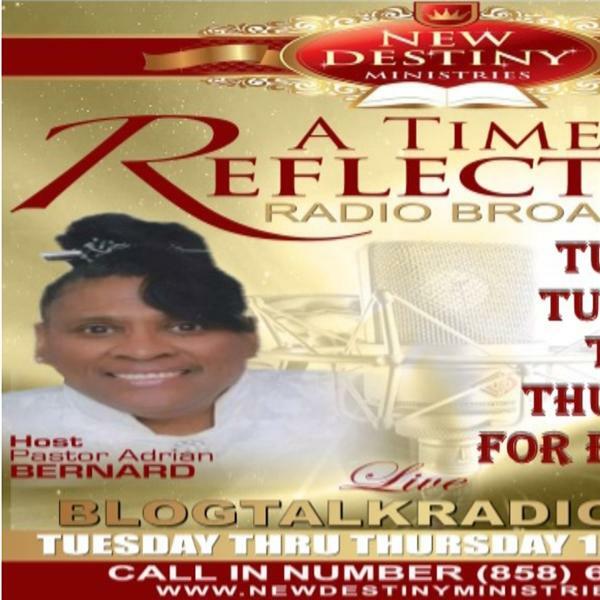 Listen online also at: www.newdestinyministries.com to hear our Archived Messages or on Blogtalkradio.com. Visit us on our You Tube Channel.